Don Brominski is a rock star. Stepping into his favorite red and white costume and getting out in front of an audience of squealing, delighted fans, he knows what it means to shine. 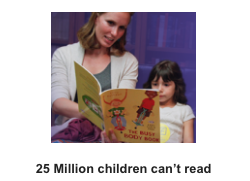 Brominski’s “stage” is a Head Start center, and his “fans” are all under age five, but that matters not for this voracious volunteer. Brominski, Senior Manager of Business Development at UGI, believes in giving his time and talents to the community in a variety of ways. 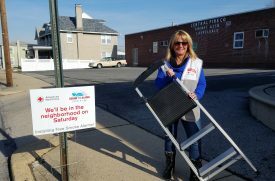 Yet Brominski is just one of a virtual army of UGI holiday helpers that go forth into the community bringing joy, comfort and caring to their neighbors. Beginning in November, UGI volunteers focus on a cornucopia of projects that feed, clothe and support the community. Food drives are conducted in many offices, with distribution to local food banks. Key to the success of many of their ventures is partnering with organizations that have programs in place and need hands and feet to do the work. This year, as in previous years, the helping hands and hearts of the UGI volunteers are ready to build on the success of past programs such as Angel Trees, Coats for Kids and hosting holiday parties for local non-profits. The idea behind Angel Trees is to provide UGI employees with information about those in need and a “wish-list” of potential gift items. A tree is then decorated in the UGI office with tags containing the “wishes” of the recipients—many items the basic needs we all take for granted. Employees choose who they can sponsor, shop, and deliver—ensuring that there are gifts under other’s trees where there might previously have been none. 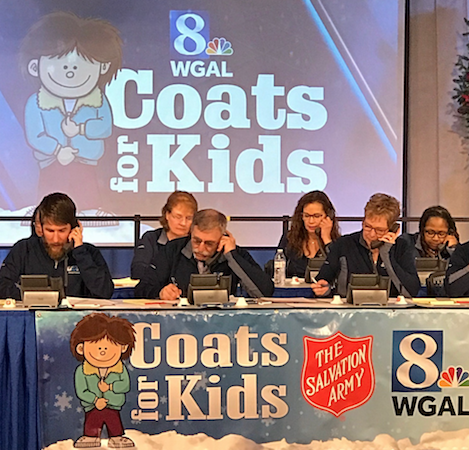 The 2018 Coats for Kids drive, which runs November 10 through December 15, has a live telethon component on WGAL-TV with UGI employees helping to staff the phones. 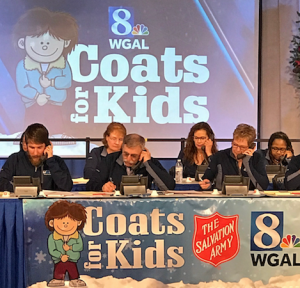 Last year the 15-hour telethon raised $150,000 in support of the Salvation Army and their projects. 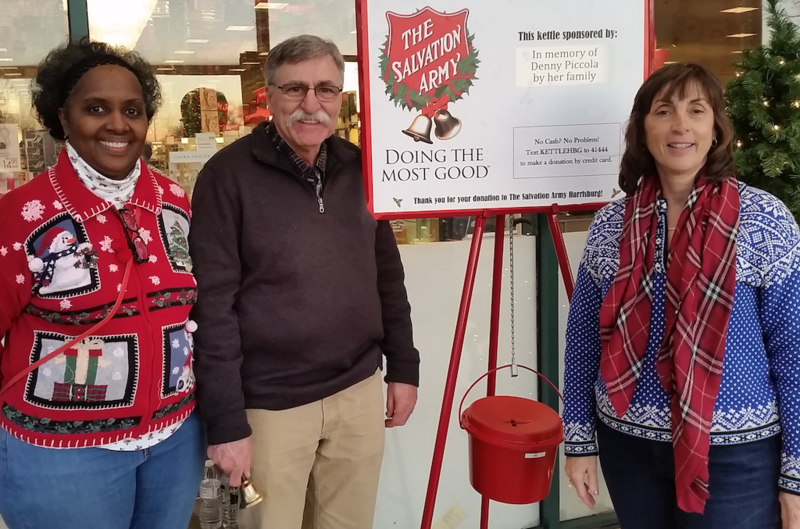 While the success of many of these ventures is a cause for celebration, volunteers like Brominski get real joy from hosting holiday parties for the groups they serve. 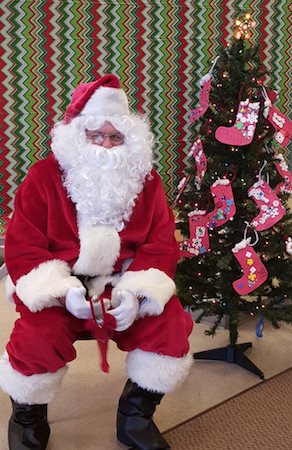 In addition to Head Start, Olivet Center for the Arts—a Boys’ and Girls’ Club center in Reading is the beneficiary of a joyous holiday party, complete with a visit from Santa and Mrs. Claus. 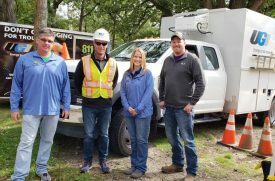 If the culture of a company can be measured by its commitment to the communities in which it serves, then UGI employees truly know how to spread the spirit of the season to their neighbors in need. 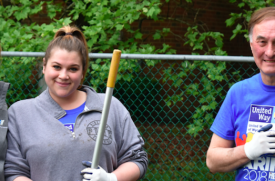 Let’s face it: volunteers are rock stars!